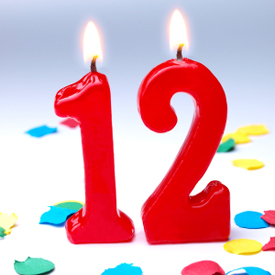 So, my old blog/website reaches the grand old age of 12. It seems weird to me that my website will become a teenager before my daughter does! The last time I posted on here I commented that 2012 hadn’t been an easy year. Looking back now, it seems that I was past the worst, and things were on the up at last. I got myself a permanent job in January 2013 working in St Helens, and Joanne managed to get some extra hours at work in September 2013. That all means that our financial situation has improved, and whilst we’re still not exactly flush with cash, we can at least feel like we’re going in the right direction at last! Matthew is now the proud owner of 2 GCSEs, including an A in Science – he must take after his Dad 😉 He has the bulk of his GCSEs this Summer, so I imagine that’s going to be a stressful time, but hopefully his hard work will pay off. Heather started at the same secondary school as Matthew in September 2013, and she is looking more grown up every day. We went to Butlins Minehead in Summer 2012 for our holiday. We couldn’t really afford to go, but I decided to take a ‘what the hell’ attitude, as the kids are going to be old enough to want to do their own thing when it comes to holidays before too long. It was a much needed break, and we had a great time. I think Butlins is probably too young for our family these days, but we certainly enjoyed ourselves, whether it was watching a fantastic Madness tribute act, or exploring the area around Minehead and being given a personal tour of a beautiful old church. Overall, it feels like 2013 was the year that things started to turn round after several years of sliding down a slippery slope. As well as our finances improving, I’ve come to a new appreciation of what is really important in life, and what things just aren’t worth worrying about. It’s not always easy, but we’re getting there – together, as a family. Thanks for stopping by for another annual update, and here’s to 12 years of SimeWorld.